The Academy of Arts University, much more a real estate consortium than an educational institution, is finally about to release its Institutional Master Plan. A hearing at the Planning Commission is scheduled for December 10. Their current facilities and expansion plans will finally come under the scrutiny of the city. For years the AAU illegally converted office space to institutional facilities and bought up much of the affordable housing supply in low income parts of the city to be used as student housing. The Academy’s own system of mass transit links together their network of facilities throughout the city. Scoping for the EIR was conducted more than four years ago so anyone who was involved in the pushback at the time should perk up and pay attention again. 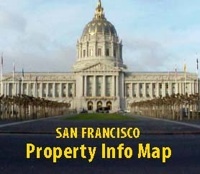 The IMP will contain details on expansion plans which primarily involve Mid-Market and South of Market. The EIR will cover specific projects at 2801 Leavenworth Street, 700 Montgomery Street, 625 Polk Street, 150 Hayes Street, 121 Wisconsin Street and 2225 Jerrold Avenue. The study areas could introduce the AAU into new neighborhoods including Fourth and Howard Streets, Rincon Hill, Third and Bryant, Second and Brannan, Fifth and Brannan, Sixth and Folsom and Ninth and Folsom Streets. Most times, when I see their big, black school buses, they’re empty or, at the very most, carrying just a few students.